Successfully Added Shape Slimming Vibrating Belt - Max Comfort to your Shopping Cart. Shape Slimming Vibrating Belt is an exciting and fun way to get into shape. The max comfort model CVSAC-2903 features adjustable vibration settings and a soft intensity heating feature to warm the muscles for added effectiveness. Perfect for relaxation (especially after a "big game") or great as an easy way to lose weight. It works by dynamically stimulating the fat cells so they are transformed into the fatty acid glycerol which is then passed out as perspiration. The belt can also be used on the shoulders, hips, and thighs for a full body workout and a safe auto timer will turn the unit off after 20 minutes. 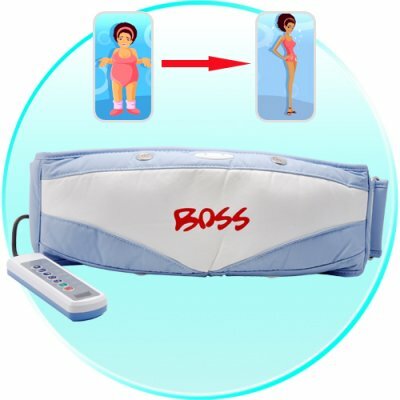 Start losing weight today with this incredible vibrating slimming belt available now at a low wholesale price from Chinavasion. Alternatively, sell this product yourself on your internet store and use Chinvasion's reliable drop shipping service for maximum profits and convenience.